Happy New Year! Josef Gas has had an amazing year thanks in large part to our terrific customers! We’re carrying that momentum forward in 2017 with some major renovations to our Concord, ON industrial gas facility. Here’s a sneak peek at what you’ll see next time you stop in for a visit at Josef Gas! Our 3-acre facility will see some exterior changes that are sure to benefit our customers! Our industrial gas filling station is being expanded to quadruple the volume of gas we can manage at one time. The filling station will be operational 24 hours a day to meet your needs day and night! This expansion is in addition to our propane tank, which remains the largest in the GTA. Just as the exterior of our site is changing, so will the interior. We are enlarging our showroom to introduce an expanded range of products and new product lines. You’ll notice a broader range of items on display and in stock, ready for purchase. We’ll even have several machines on the floor so you can try them out and learn about new techniques and technologies. We’re also adding office spaces for our staff to give them the room they need to keep supporting our customers whether that is over the phone, online or in person. We are especially proud of our staff’s ability to help our customers with on-site evaluations of their business needs; the expanded space will make this kind of service even more available than it already is. 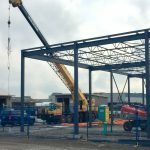 All in all, we are adding 10,000 square feet to our facility at 201 Basaltic Road, L4K 1G4, Concord, Ontario. We expect all renovations and expansions to be completed in March 2017, just in time to welcome the spring weather! Take an outside tour, chat with our team, enjoy an espresso, and get to know your industrial gas partner a little bit better. We wish everyone a wonderful holiday season and look forward to seeing you in 2017! 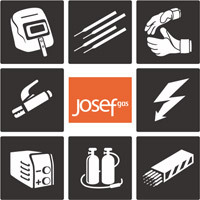 We’ll remain open through the holiday season, so contact us at 416.658.1212 or info@josefgases.com if you need gas or welding supplies to finish up the year or want to take advantage of year-end budget funds to stock up on supplies!